The Byward Market offers one-of-a-kind artisan shops and boutiques, over 80 restaurants and cafés and Canada’s oldest continuously operating farmers’ market. Year round you’ll find over 100 vendors of fresh fruits and vegetables, plants and flowers, and arts and crafts arranged around and in the historic. Located in downtown Ottawa. Come dive into the adventure and explore Calypso, the number one waterpark in Canada! With over 35 water slides and 100 water games for all ages, you will create unforgettable memories. This extensive, 100-acre facility includes state-of-the-art water slides, two theme rivers and Canada’s largest wave pool. Pack a lunch or let us serve you at one of our theme restaurants. Book now and come soak up the fun! Come experience the thrill and excitement of Fortune Aerial Experience! 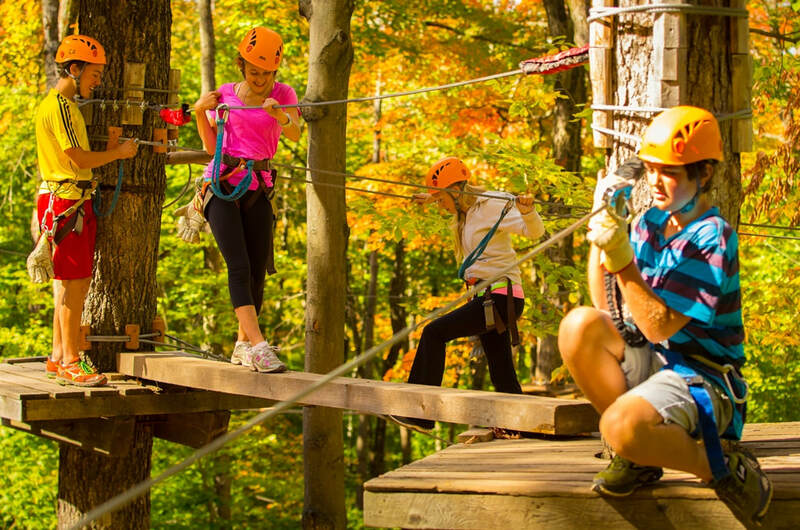 You will be traipsing through the tree tops challenging yourself on a course of aerial steel wires, rope bridges, suspended walkways and net gangways. The three-hour trek culminates with the ultimate thrill of soaring down the giant zip lines. This adventure will leave you breathless! 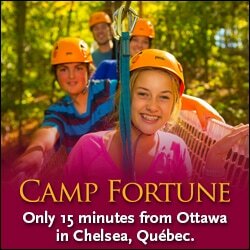 Camp Fortune is conveniently located in the heart of the Gatineau Park, just 15 minutes from downtown Ottawa. Licensed patio, BBQ services, snacks and refreshments on site. We also offer affordable ski and snowboard packages during the winter months. 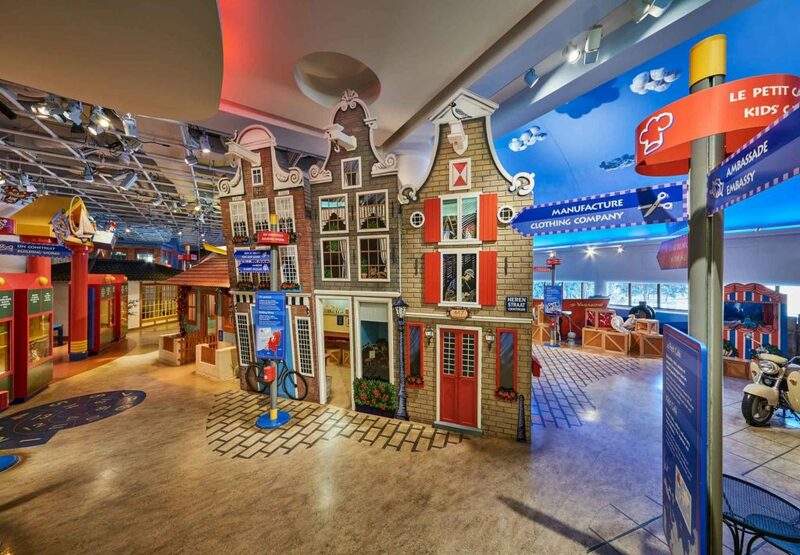 The Great Adventure takes children on a worldwide trip to exciting locations, where they’ll meet interesting people and engage in entertaining educational activities. They can clamber aboard a replica of an extravagantly decorated Pakistani bus and a three-wheeled auto rickshaw from Thailand or step inside a Bedouin tent and homes from India, Indonesia and Mexico. A fun, memorable first step in a child’s understanding of the arts, culture and history. Discover the events, experiences, people and objects that have shaped the nation’s history. Take in the beauty of this architectural gem and its spectacular setting on the banks of the Ottawa River. 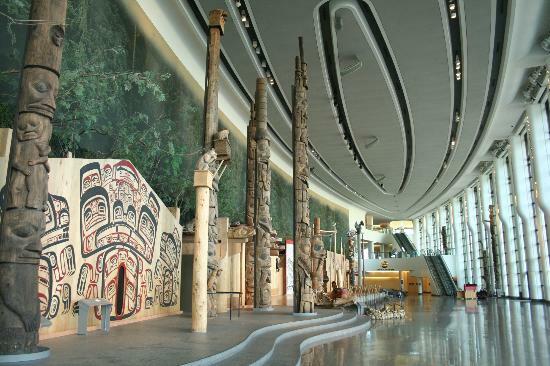 Marvel at the world’s largest indoor collection of totem poles and explore the traditions and achievements of Canada’s First Peoples. Tour our many exhibitions, be a kid again at the Children’s Museum and live the ultimate cinema experience at CINÉ+. Cafeteria, restaurant and boutique onsite. Experience the wonders of nature in a century-old Gothic-style castle. Magnificent exhibitions will take you on a journey of discovery, from tiny insects to a complete blue whale skeleton! 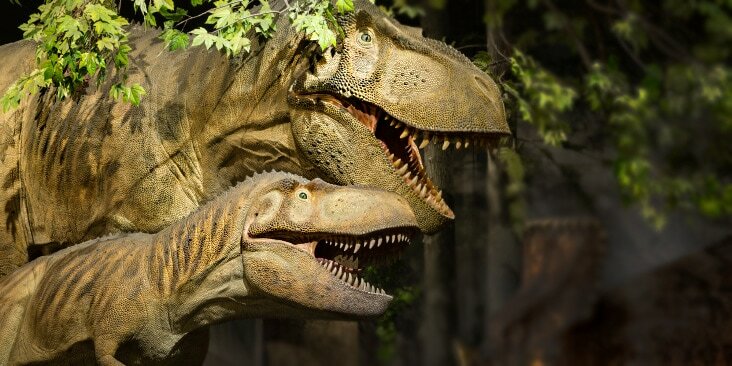 See dazzling rocks and minerals, fleshed-out dinosaurs, countless fossils, astonishing birds and majestic mammals. Explore a limestone cave. Enjoy hands-on activities. Take in an action-packed movie in the 3D Theatre. Exhibitions: New - Canada Goose Arctic Gallery, explore the mysterious Arctic; Interactive Exhibiton, discover mysteries of water and Earth, as well as creatures that inhabit our planet now and past. A place for families to share and learn together! With its richly symbolic architecture, the Canadian War Museum, provides a spectacular setting for exhibitions that illustrate the way in which human conflict, in Canada and around the globe, has changed the face of the world. Discover the military history of Canada through a vast collection of artifacts, moving personal stories, works of art, and unforgettable photography, from ancient times to the contemporary period. Unique in the nation’s capital, the museum provides an immersive, fun, and educational experience that showcases life in the 1920s and 30s with dozens of heritage and true-to-the-era reproduction buildings – including a working sawmill and blacksmith forge – heritage breed farm animals, people in costume, vintage tractor-pulled wagon rides, and so much more. The larger than life play-spaces encourage kids to crawl, bounce, swing and slide through the multi-level soft-play structure which feature ball pits, obstacle courses with plenty of padding and no sharp corners. Even toddlers have their own play area filled with educational and developmental toys. Restaurant on site. 1373 Ogilvie Rd., Just off St.Laurent Blvd. Canoe, kayak, paddle boat rentals, and more.. Try a paddle board! Three family friendly restaurants on-site: Mexicali Rosa’s,Malone’s, and Lago. Marina and marina services also on-site. Minutes to Parliament Hill, and a stone’s throw from the Experimental Farm and Preston Street. 1001 Queen Elizabeth Dr., Ottawa. Near Carling & Preston Ave. If you want to learn how to successfully design a wildlife garden that will attract butterflies, birds and other wildlife, visit the Fletcher Wildlife Garden. In addition the Macoun Field Club is a nature club for youth ages 8 to 18. Sponsored by the Ottawa Field Naturalists’ Club, it has been providing a fun way for youth to experience natural sciences. Funhaven delivers fun and family memories in an upscale and affordable environment. Activities include: Climbing Wall; Jungle Gym; Laser Frenzy; Laser Tag; Mini-Bowling; Toddler Play Area; Video Games and Simulators; Bumper Cars. See website for details. ​Fun Junction is Gatineau’s newest fun centre. This 12,000 sq. ft facility offers jungle gym for the little ones a state-of-the-art lazer tag system, a glow in the dark 9-hole mini putt course. Fun Junction also has a variety of simulator video games, like Daytona 500. We have a spacious, 100-seat newly renovated FJ Pizzeria offering, pizza, sandwiches, burgers, calzones and buffet menu for large groups. ​Live the ultimate IMAX Experience at the only IMAX 3D screen and Dome Theatre in North America! A unique journey through history, culture, adventure and nature with stunning films that touches and inspire. Located at the Canadian Museum of History. 70 Aird Place, Ottawa, Exit Hwy 417 Westbound at Castlefrank Rd. and right on Aird Place. ​Karters Corner has 48 go-karts including, two seat go-karts, in which younger children can ride with parents or kiddy karts for kids under 54″tall. Enjoy the 18-hole mini golf. For teen night you get 10 laps on the go-karts, 1 round of mini golf, one hot dog, one soft drink, one bag of chips, and unlimited beach volleyball and basketball. See website for pricing. ​Laser Quest is a great activity for a family reunion, church groups, scouts, and team activities as it is good for all ages. Children and adults play together on an equal playing field. Rain or shine in air-conditioned comfort. McDonald’s Restaurant. Locations also in Toronto, see Toronto section for details. ​Step into our country’s political history and enter the former residence of two of Canada’s most important Prime Ministers, Sir Wilfrid Laurier and William Lyon Mackenzie King. Enjoy the fabulous collection of objects and artwork Mackenzie King donated to the people of Canada and learn about the two men’s personal and political life as well as how Canada’s kitchens during the Second World War. Guided tours for school groups recommended. Welcome to Little Ray’s Reptile Zoo! We are Canada’s largest collection of unwanted and rescued reptiles. Promoting backyard and worldwide conservation since 1995! Our zoo is also the very first carbon neutral zoo in Canada! We focus on educational hands-on interaction with some of the world’s most misunderstood animals. Come by to see our feeding and hands-on shows so you can experience the adventure today! Our zoo is open year long with new exhibits and new animals to see every 6 months! Our newly renovated zoo also has brand new outdoor enclosures which provide a home to rescued animals from all over Canada. Bilingual, wheelchair accessible; fun for everyone big and small! Discover great, clean family fun all summer long. 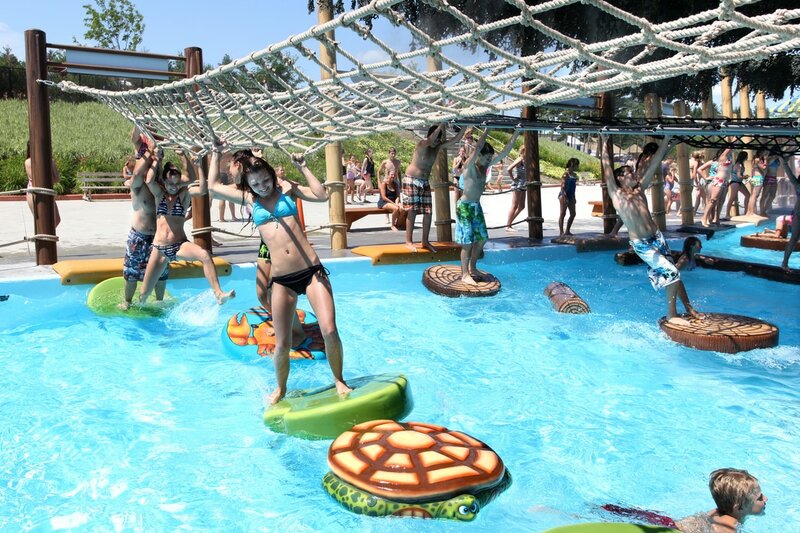 World class water rides, water play areas and full food and beverage services make Mont Cascades MOUNTAIN Waterpark a great place for the family to cool down and have fun. Introducing Splash Water Forest for the ultimate in WATER PLAY!!! This combines all the excitement of our world’s best slides with the new “active-waterplay” structure packed with water cannons, climbing nets and the“SplashForest” versions of our favorite slides. Located: 20 min. Drive from downtown Ottawa/Hull in Cantley, Québec. MacDonald Cartier Bridge, onto Hwy. 5, take exit to Hwy. 50 (Gatineau), take exit 138 (1st one) and turn right at the lights onto Hwy. 307 for 15 km and turn left onto Mont Cascades Rd. Admission: One Rate $16.99 pp / Kids 2 years and under have free admission. Located in the heart of downtown next to the Rideau Canal, the National Arts Centre (NAC) is Canada’s premier showcase of the performing arts. The NAC presents full seasons of English Theatre, French Theatre, Dance and Orchestra. In addition to in-house productions, the Centre plays host to variety and Broadway programming plus special festivals. See Canada’s visual arts treasures within the lively Ottawa ByWard Market. Discover the remarkable stories that have shaped this country in our completely reinvented Canadian and Indigenous Galleries. Love photography? You won’t want to miss the Gallery’s new Canadian Photography Institute. If the great masters are more your style, the Gallery is your destination for the country’s finest collection of European art. In addition to our exquisite national collection, during any visit you can take in world-class special exhibitions and engaging activities for all ages. You won’t want to miss Gauguin: Portraits May 24, 2019 to September 8, 2019. Come celebrate creativity at one of Canada’s most impressive landmarks! The NCC is dedicated to making the Capital accessible to all Canadians and endeavours to support learning in young Canadians about the richness of Canada’s Capital, through various activities and resources. Visit the Capital Infocentre (across from Parliament Hill) where you’ll find a complete range of services to help you plan your visit according to your needs. Whether you’re looking for information by phone or in person, we can help. ​The Ottawa Senators of the National Hockey League (NHL) play a full season of games at Ottawa’s Scotiabank Place in west Ottawa, in Kanata, about a 20-minute drive from downtown. Shuttle buses to games from downtown are provided by Ottawa’s public transit – OC Transpo. The Parliament buildings are often described as one of the most beautiful government centers in the world. The buildings are home to among other things, the House of Commons, the Library of Parliament, the Hall of Honour, the Senate and the impressive Peace Tower and Memorial Chamber. Summer on the hill features the Changing the Guard Ceremony. Schedules and tour routes are subject to change or cancellation without notice due to parliamentary activity. Fun and interactive aquatic adventures transform children into pirates with face painting, tattoos, and costumes. The 50-foot ship navigates the “seas” for 75 minutes, offering non-stop pirate-themed activities including discovering treasure maps, recovering sunken treasure, defending the ship with water cannons, singing, and dancing. Six sailings daily May through August and on weekends in September. Discover 72km of peaceful country landscapes. Built on a converted railway, the soft terrain is easily accessible to all cyclists. The surface is stone dust, with four 2km paved sections. A link between Ottawa and Montreal for cyclists. Four convenient access points to the trail are located (east to west) in Hammond, Bourget, Plantagenet, Vankleek Hill and St-Eugène. You will find free parking, picnic tables, an information stand and toilets. See website for details. ​​Try out the tropical themed wave pool, with great features like the shallow lagoon area providing gently sloped and easy access to the pool (great for kids/parents & seniors). Kids play areas include a mushroom waterfall machine, spraying clown heads and the spurting red rock, as well as the sauna and whirlpool. Summer camps too. Free parking. Food and beverage facilities . Ask about birthday parties and summer camps. The historic residence and workplace of Canada’s Governor General is buzzing with activity this summer. Come discover: A Butterfly’s World, an activity on the lives of Rideau Hall’s fluttering friends. Stop at the Visitor Centre for a Time out for art or to build an inuksuk. Come witness the pageantry, precision and colour of the Ceremonial Guard at Rideau Hall. In this much-loved ceremony, sentries, led by a piper, march to their posts at Sussex Gate and in front of the Residence. July and August: Daily, hourly, 9 a.m. to 5 p.m. Grounds open from 8am to one hour sunset, all family activities are offered daily. Check website. ​Rain or shine, this event runs nightly from 7:30 p.m. to 9:00 p.m. at the home of the Musical Ride – the RCMP Stables at the Canadian Police College.Bring a blanket or lawn chair and enjoy the show! Admission and public parking are both free; however, donation boxes will be set up. Guided Tours are available all year-round. ​Saunders Farm features over 30 attractions including Two Jumping Pillows, 10 Mazes, a SplashPad, Pedal carts track, Puppet shows, amazing play structures, wagon rides, adventure passport, gem mine and delicious farm fresh foods. Open Weekends in June: Saturdays and Sundays 10am-5pm. Then daily all Summer- June 27th through September 2, 2014: Tuesdays through Sundays 10am-5pm. Also open Holiday Mondays. Closed Mondays. Haunting Season Fall Festival – Weekends from September through November. Children and adults alike will enjoy seeing a wide variety of animals and birds up close, from alpacas to zebus, goats to geese. Ride the Valleyview Express and play in our creative farm playgrounds. Explore Bill’s Old Farm Museum to learn about our agricultural past. Watch the singing chicken show and a puppet show. Children’s birthday party room is available by reservation. Have lunch or a snack in the Sunflower Cafe and browse in Robyn’s Nest Gift Shop. New babies in the spring, to pumpkin harvest in the fall. Come and spend a day in the country at Valleyview Little Animal Farm. ​The Vanier Museopark is the capital region’s francophone museum in Ottawa. The museum interprets the natural history of the Richelieu forest as well as Vanier and Ottawa’s francophone history. The Vanier Museopark offers many activities in French and in English such as its guided historical tours of Vanier, its urban sugar shack as well as its many educational programs.